The United Nations Secretary-General’s Envoy on Youth, Ms. Jayathma Wickramanayake, recently undertook an official mission to Bangladesh on the occasion of the International Youth Day. The mission was graciously supported by the Inter Sector Coordination Group (ISCG) and the United Nations Populations Fund (UNFPA). Below you can read about the highlights. 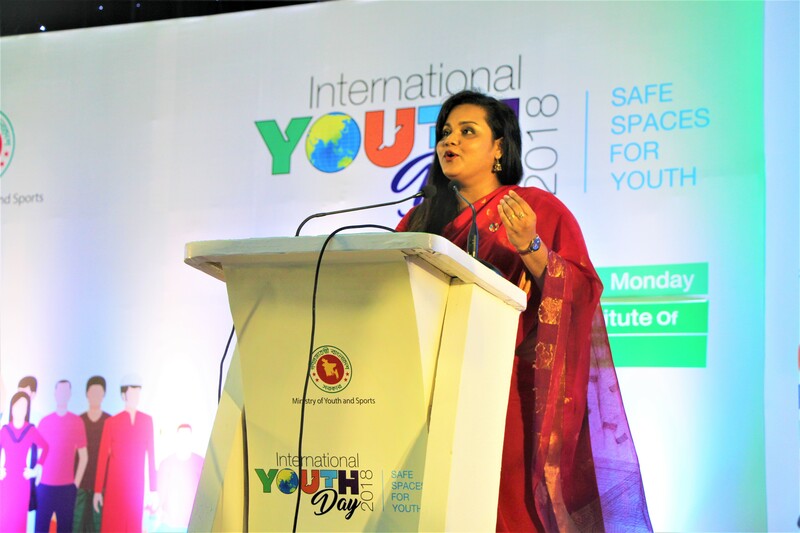 The UN Secretary General’s Envoy on Youth, Ms. Wickramanayake, arrived in Dhaka upon an invitation from the Ministry of Youth and Sports in Bangladesh to observe International Youth Day on 6 August 2018. Each year, International Youth Day is a celebration of the role of young people as essential partners in promoting human rights and development – at the same time, it is an opportunity to raise awareness about the challenges and marginalization that many young people face around the world. While in Dhaka, Ms. Wickramanayake met with young cadets at the Foreign Service Academy, a group of young parliamentarians in the National Parliament, high-level officials and Honorable Ministers. The Youth Envoy used these engagements to raise awareness on the importance of youth participation in civic and political affairs, emphasizing that investment in youth is the path to building a more sustainable and peaceful future. During her stay she also conducted a series of meetings with the Ministry of youth Affairs and Sports, UN Resident Coordinator, Ms. Mia Seppo, the UN country team, the UN Youth Advisory Panel, Youth Organizations and the donor community. 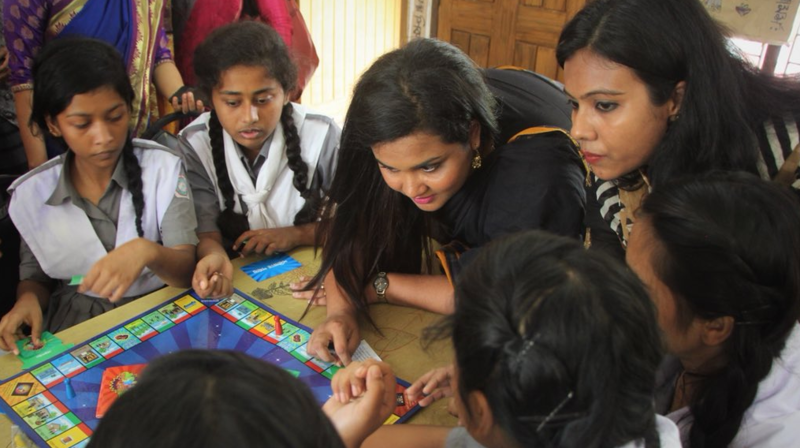 In addition, Ms. Wickaramanayake had the opportunity to spend an afternoon in one of the adolescent clubs that serves as a Safe Space for young adults aged 11-19 living in low income neighborhood. For many young people the adolescent clubs were one of the few opportunities to socialize in structured activities outside the home, and also serves as a mechanism for early identification of young people at risk and referral to services. The visit was organized by UNICEF in partnership with BRAC. This 25 August serves as the one-year mark of the outbreak of the Rohingya refugee crisis, which took the Youth Envoy to the Cox’s Bazar region of Bangladesh, where nearly a million refugees reside. 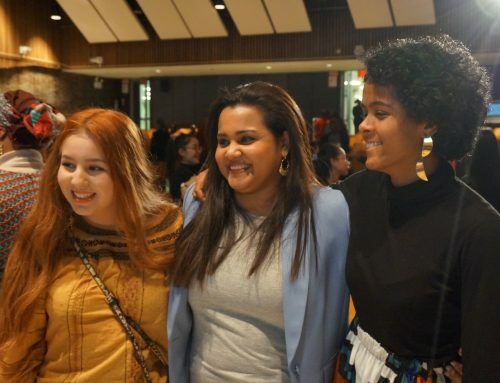 She used the visit to highlight the need for safe spaces for youth – in particular, young refugees who lack access to basic human rights including clean water, sanitation, and education. Among her many engagements, the Ms. Wickramanayake visited the Kutupalong Camp: the largest and most densely populated refugee camp on our planet. The Youth Envoy met with a group of young refugees, men and women, who works as Community Outreach Volunteers supported by UNNHCR. Despite the challenges they themselves face, they were eager to make positive contributions to their community and volunteered to solve local issues in the camp, such as shelter repairs, tree planting etc. This was followed by a UNFPA organized meeting with a group of refugees who receive life planning skills training as part of the project, implemented by local NGOs. 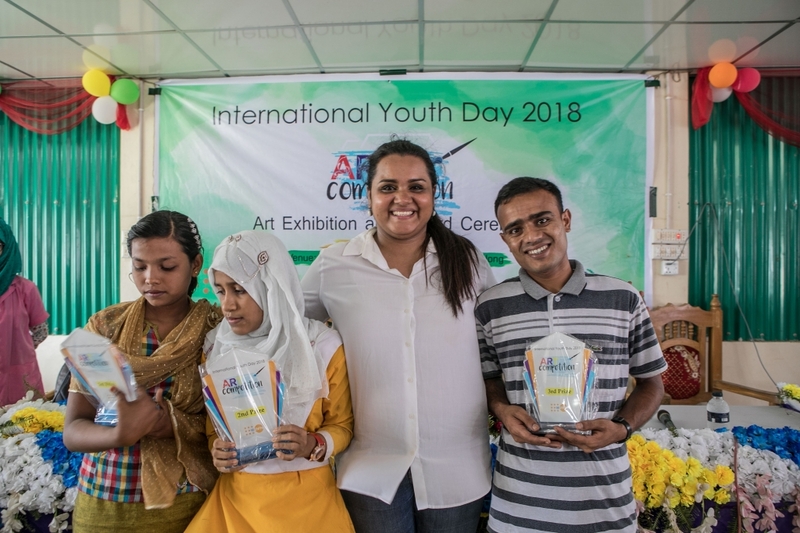 During this event, the Youth Envoy instigated a drawing competition in which they drew their favorite safe space, followed by a heartwarming ceremony where she presented awards to the art winners. Supported by UNICEF, the Envoy on Youth visited an all-girls adolescents club and, which gathered young women from the camp as well as the host community. Being young and female is one of the biggest risk factors for violence during humanitarian crisis, which is why such spaces are vital. In the club, she watched a role play about child marriage and engaged in a candid discussion about the gender-specific challenges these young women experience in their day to day lives. Last, but not least, Ms. Wickramanayake made a stop at Masters Skills training center facilitated by BRAC, to meet with young people from the host community and discuss the challenges of living in one of the most under-developed regions of the country, with low rate of education attainment and high unemployment. 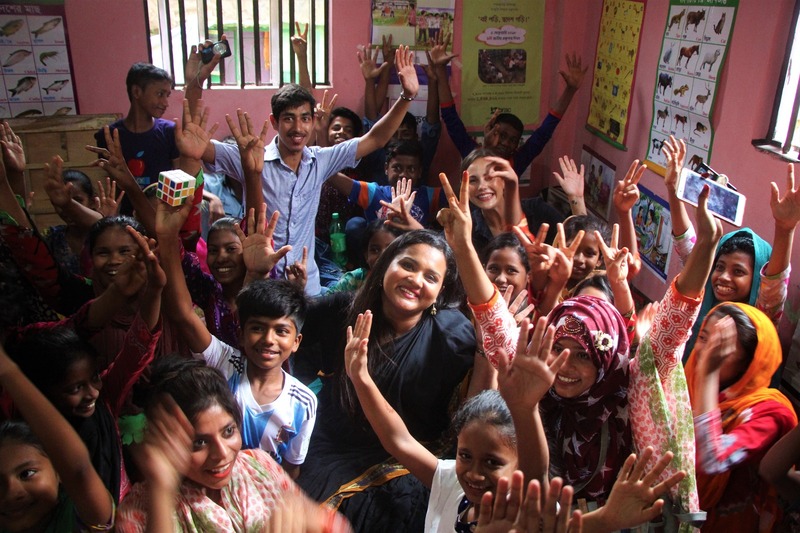 Despite the challenging scale of the Rohingya refugee crisis, Ms. Wickramanayake expressed her astoundment with the resilience of the young people she met during her visit to Cox’s Bazar, and the strength they possess in striving to rebuild their society and solve community issues, even within a context of displacement. During her visit, the Youth Envoy met with the Senior Coordinator of the Rohingya refugee response, Heads of UN Sub-Offices and members of the Compact of Young People in Humanitarian Action, to discuss how humanitarian partners can better address the unique priorities, needs and rights of young people – especially the need for education and skills building training. She furthermore met with a group of committed young humanitarian workers who are active in the refugee response. Too often, young people are an overlooked resource in humanitarian assistance, which was also a message the Youth Envoy highlighted on the subsequent World Humanitarian Day. For more impressions from the mission to Cox’s Bazar, watch the Facebook Live session from the visit hosted by UNHCR. 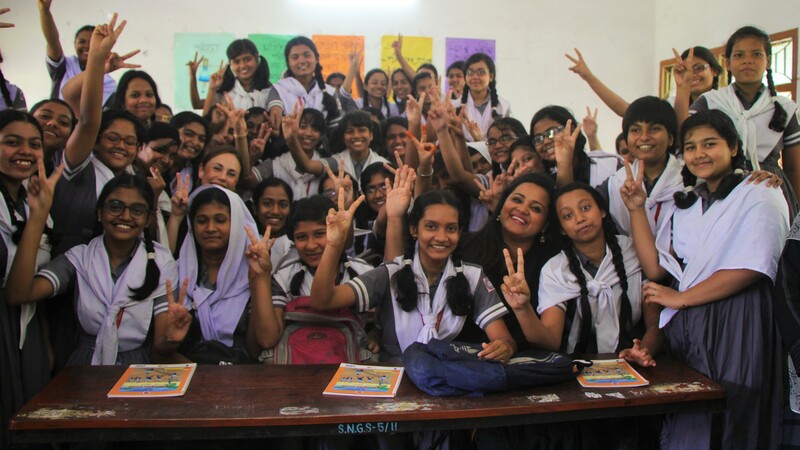 All in all, the main themes emerging from the mission to Bangladesh included: safe spaces for youth, including road safety; sexual and reproductive health and rights with a specific focus on child marriage; the need for a youth-focused refugee response; and as always, promoting young people’s involvement at every stage of policy making and leadership.